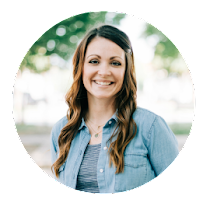 Hi my name is Candice and I'm a craft supply hoarder. It's a little ridiculous. I could open my own store. I never mean to buy so much. 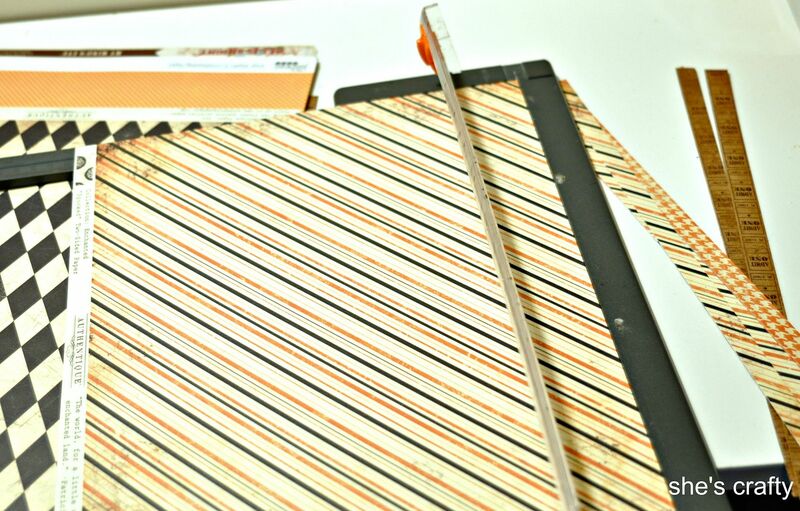 I usually go to the craft store to get a few things for my current project, then something catches my eye and I get an idea for another project and buy all the supplies (and more) for both. Needless to say, I have enough craft supplies to last forever. 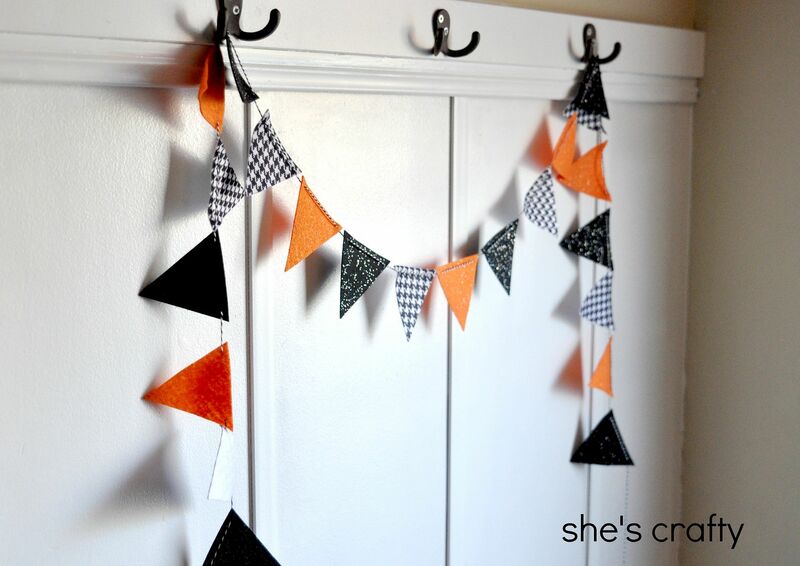 I used a tiny bit of my stash to make a few Halloween banners to embellish our home. 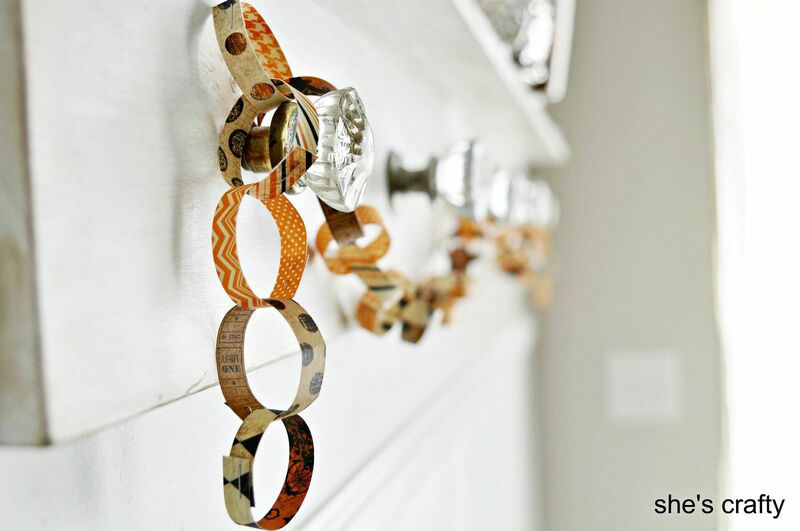 The paper chain banner is just like the ones we all used to make in grade school. With this one, I used some nice, double sided patterned paper, (that's an Amazon affiliate link) cut into 0.5 inch x 6 inch widths. I folded each strip into a circle and stapled the ends. Easy peasy!! I made the felt banner just like the one I did for my daughter's birthday. 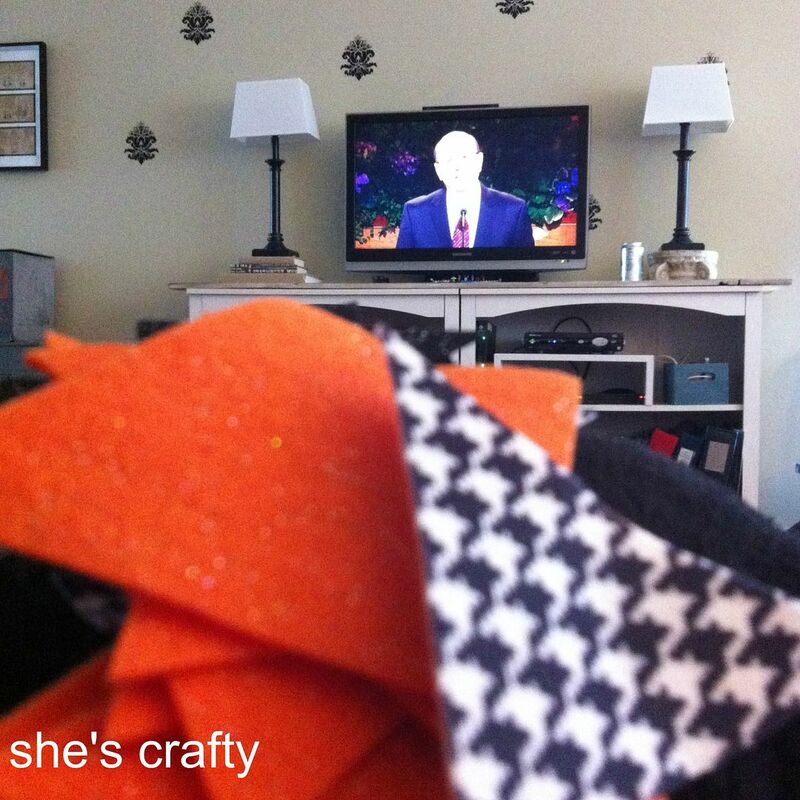 I cut 3 inch triangles (Instagram photo of crafting while watching General Conference) out of black and orange glitter felt and houndstooth felt. I strung the triangles onto bakers twine (that's also an Amazon affiliate link). 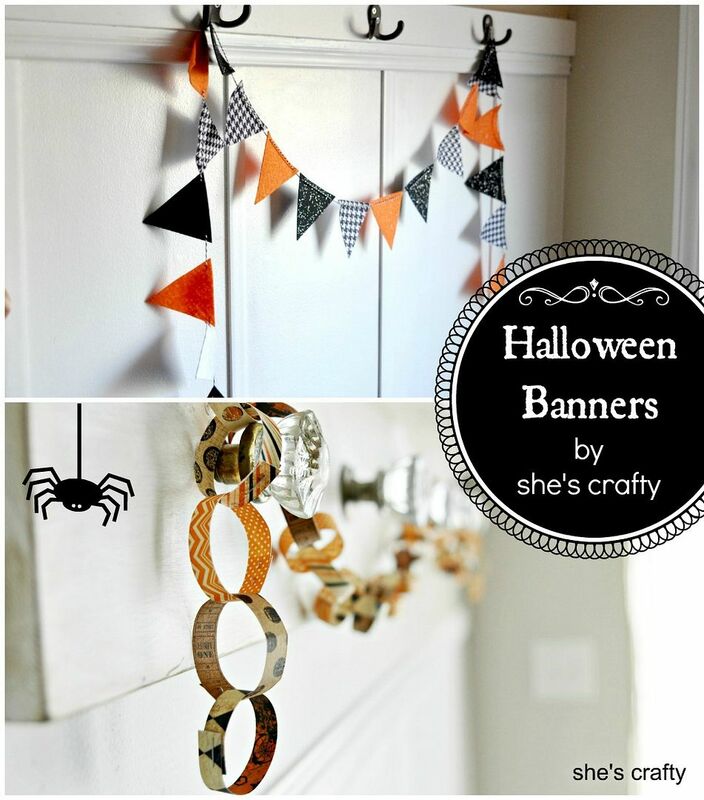 Here are both of the banners and glittery bats in our dining area Halloween display! 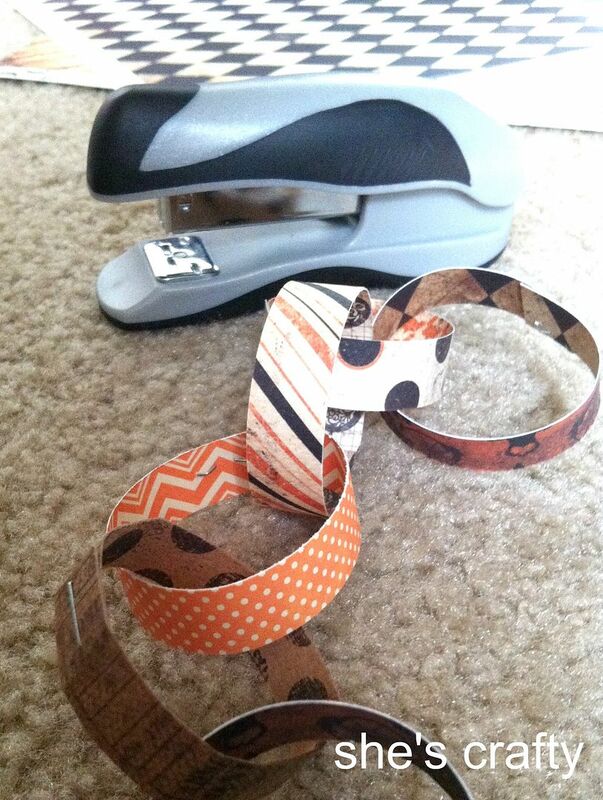 Do you hoard craft supplies? 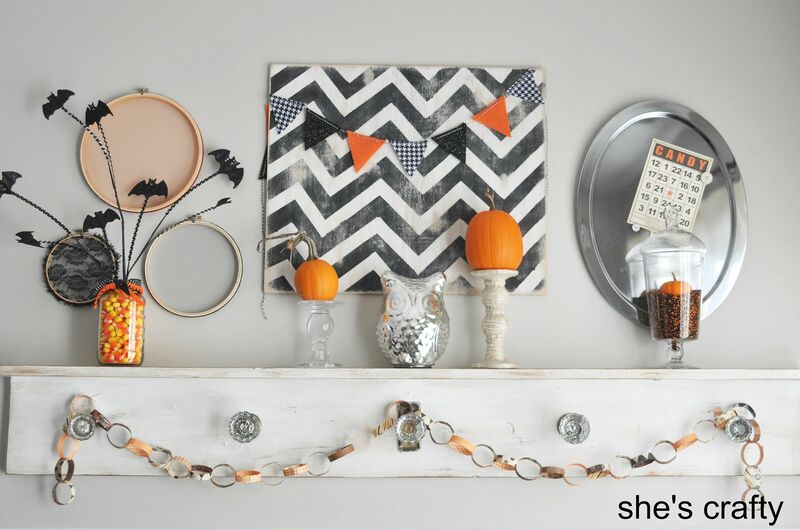 Have you used them to make any crafts this holiday season? I love these! 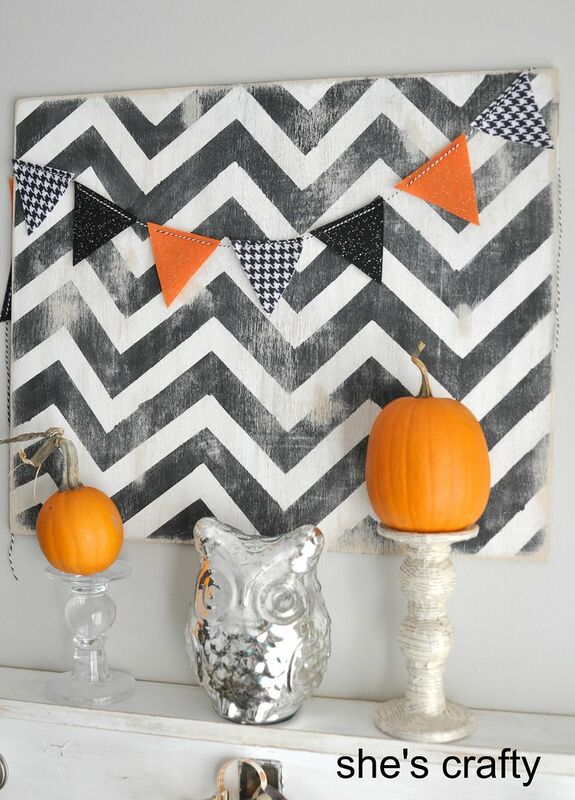 Also love your chevron art!